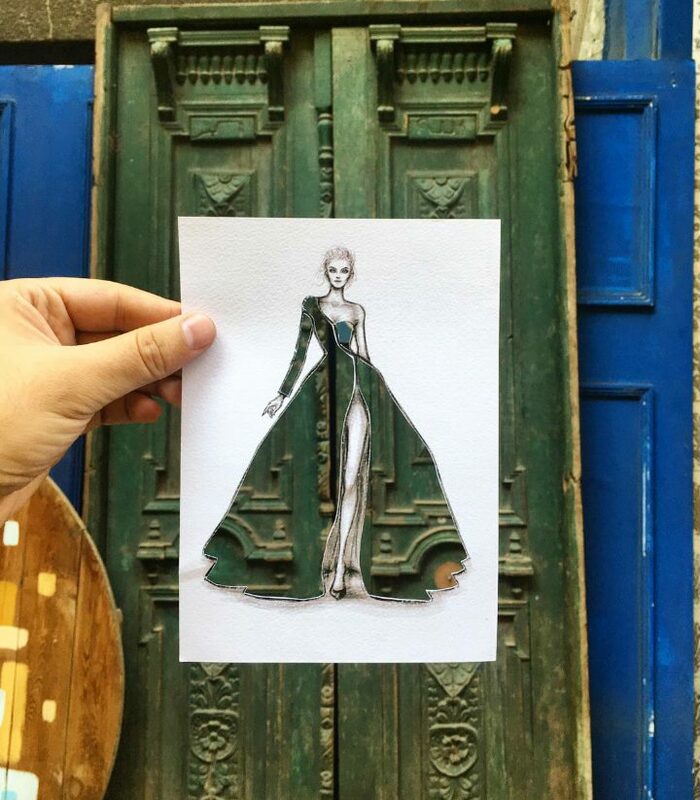 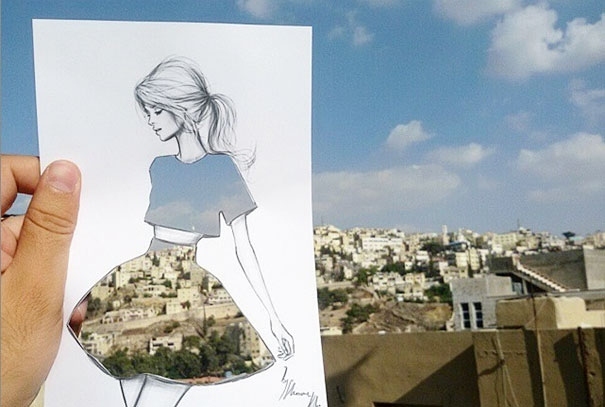 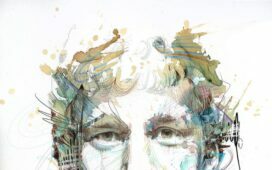 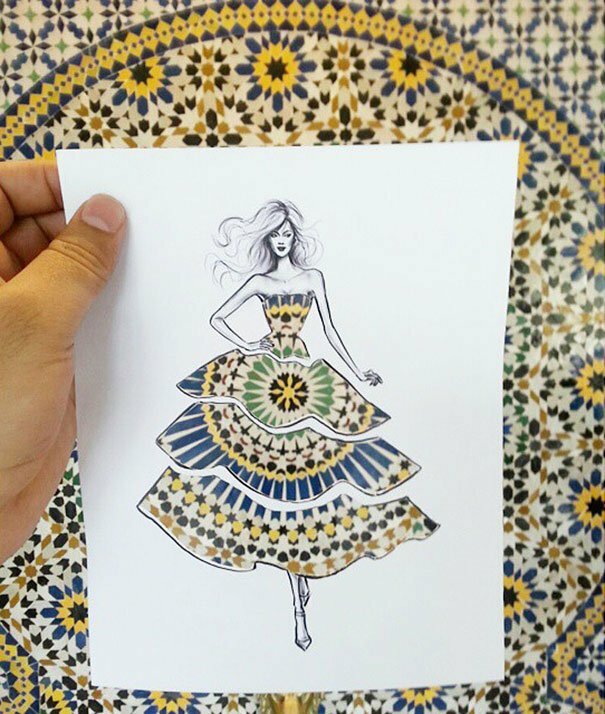 Shamekh Bluwi is an architect and fashion illustrator based in Amman, Jordan. 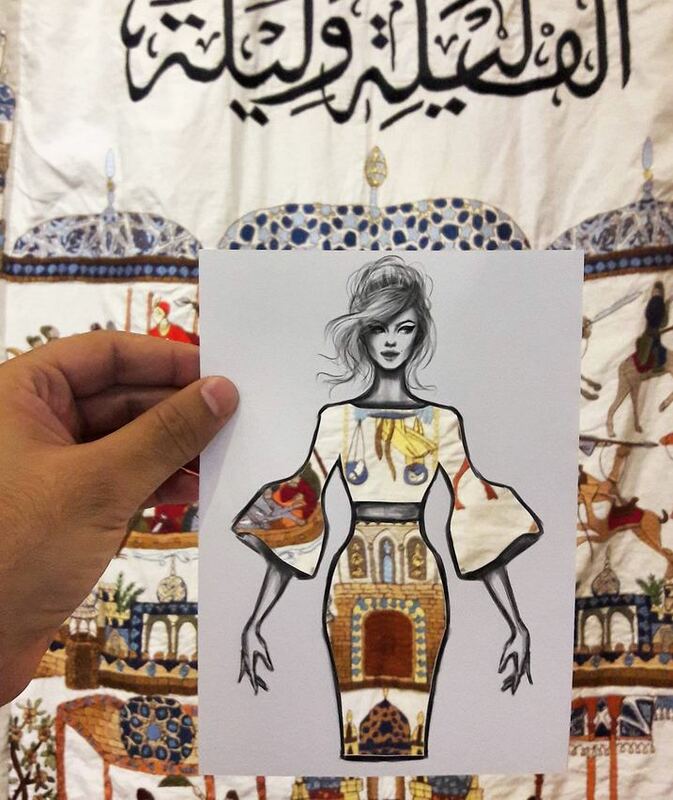 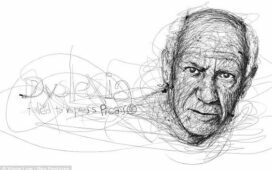 Most known from creating beautiful paper cut-outs with women whose dresses become whatever you hold them up against. 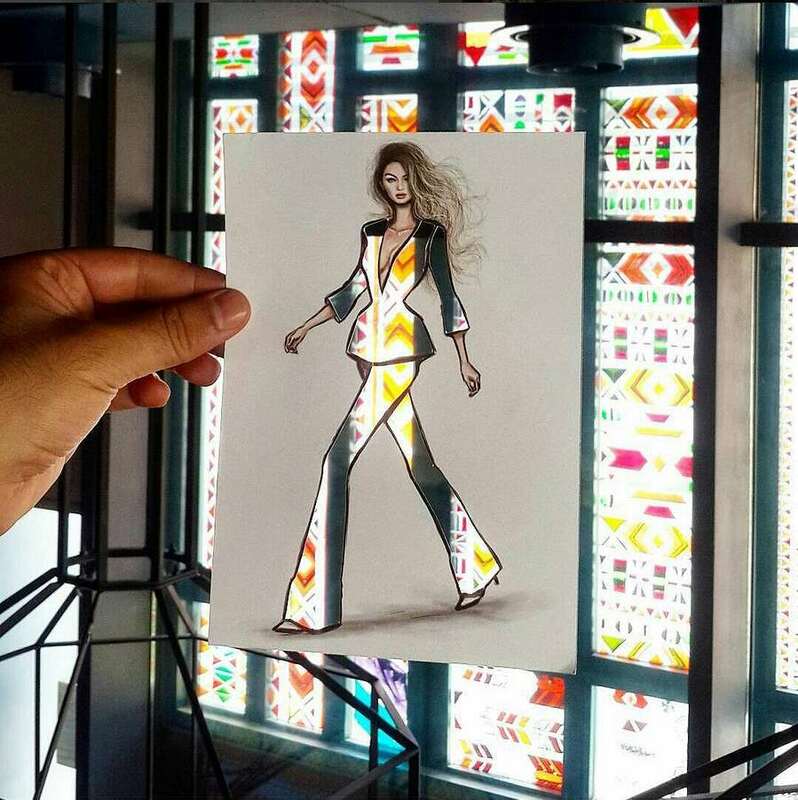 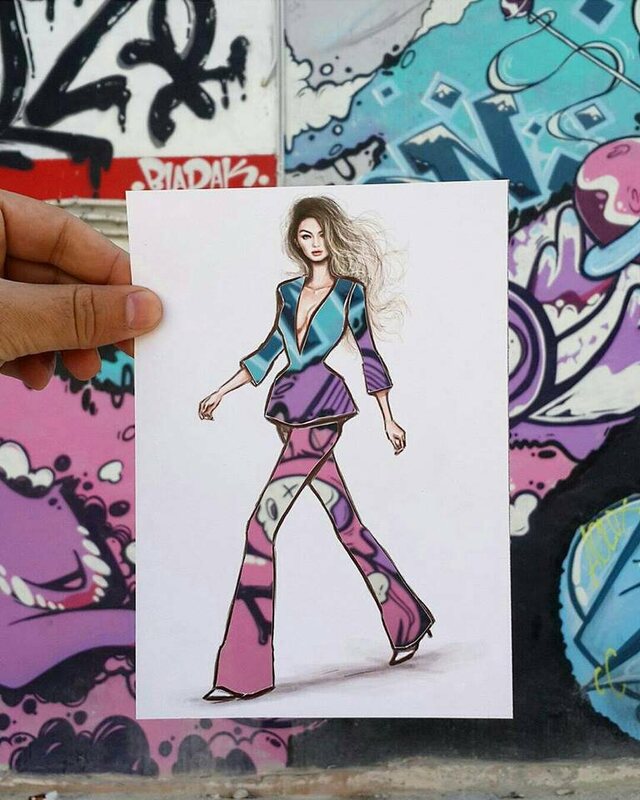 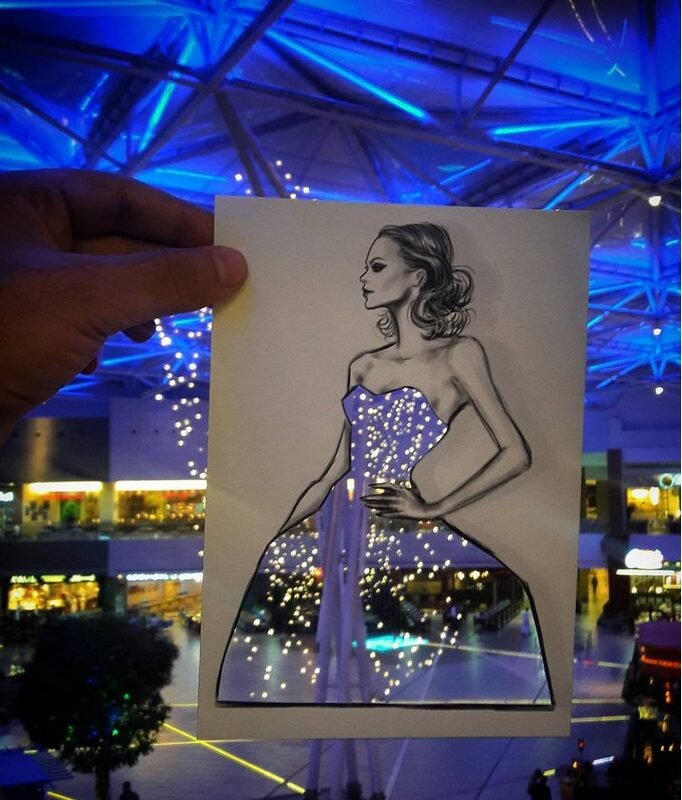 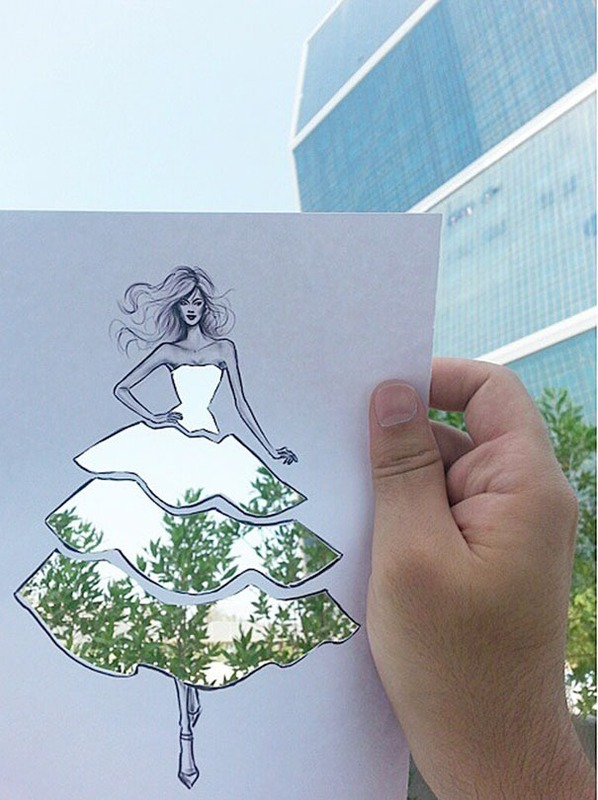 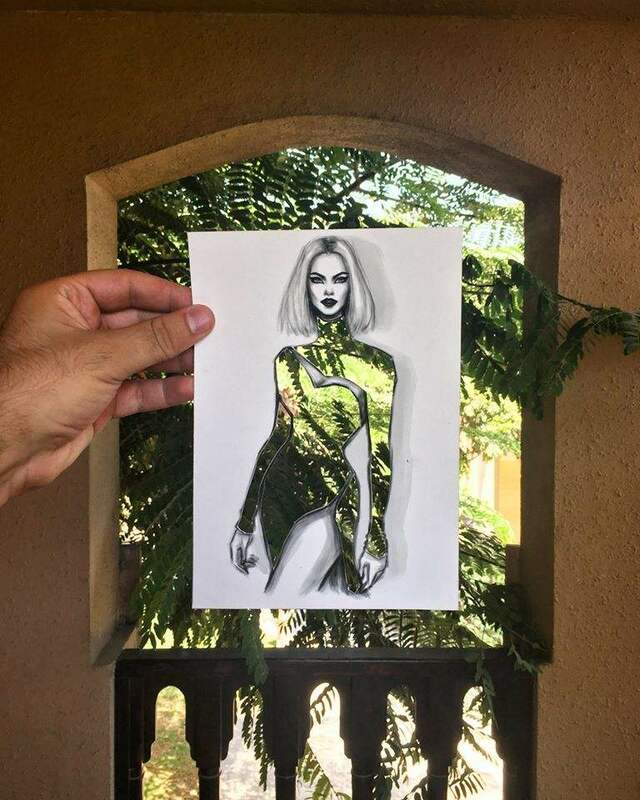 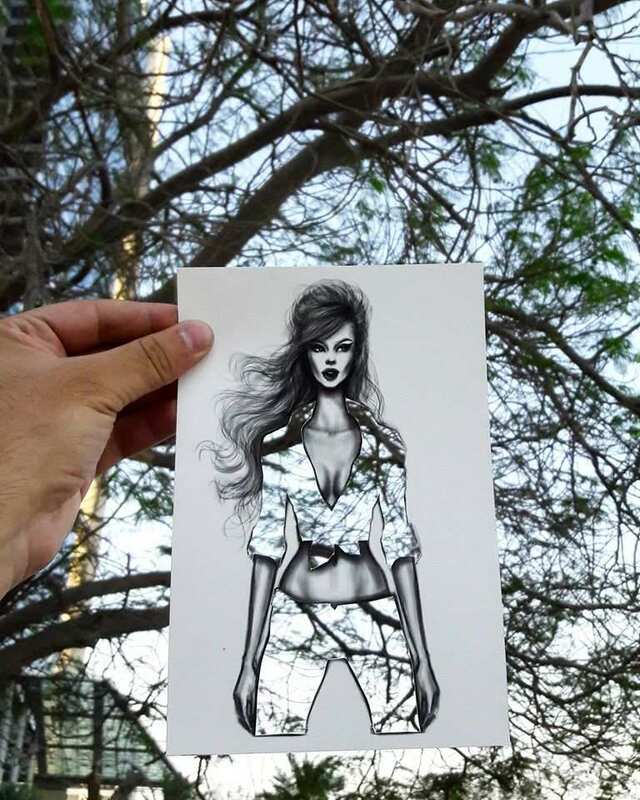 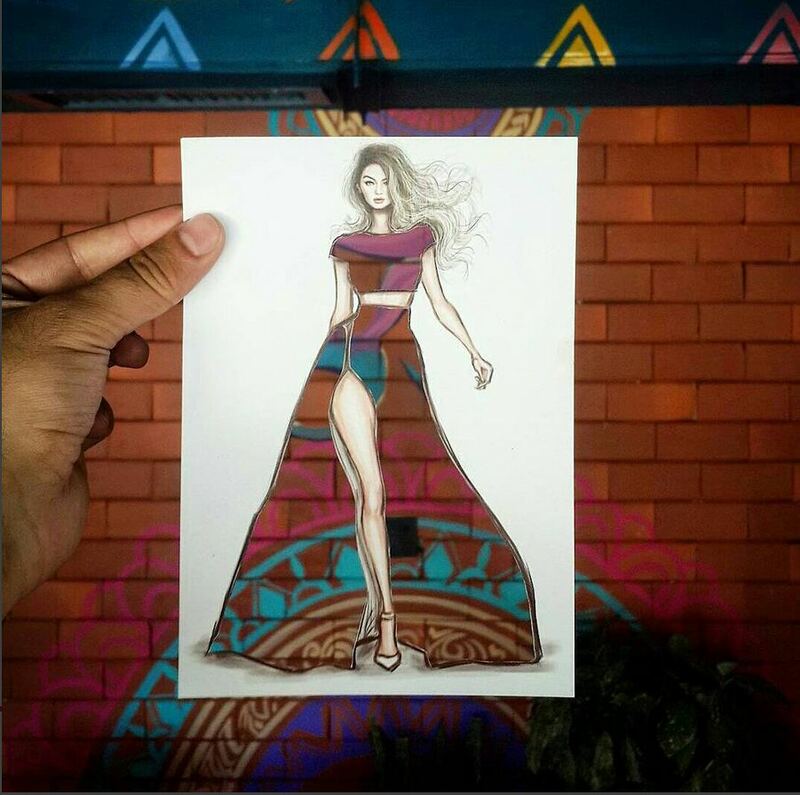 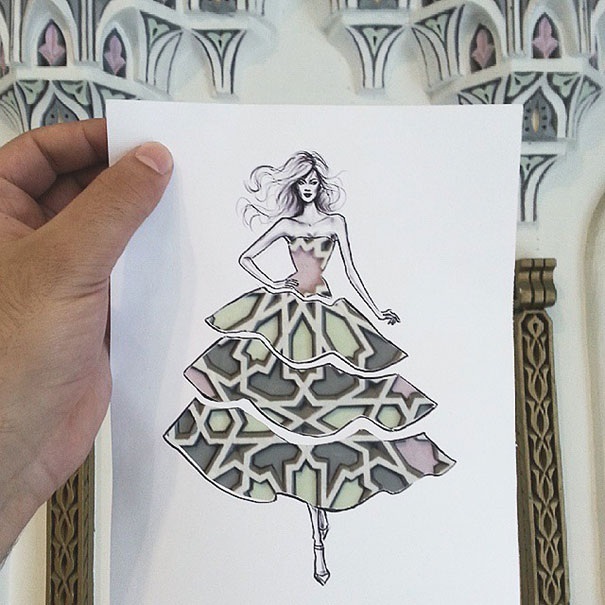 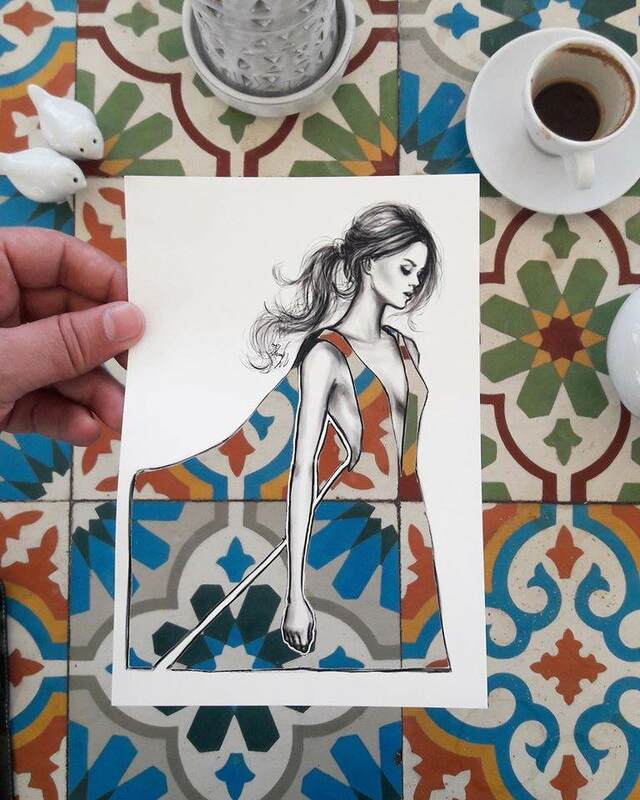 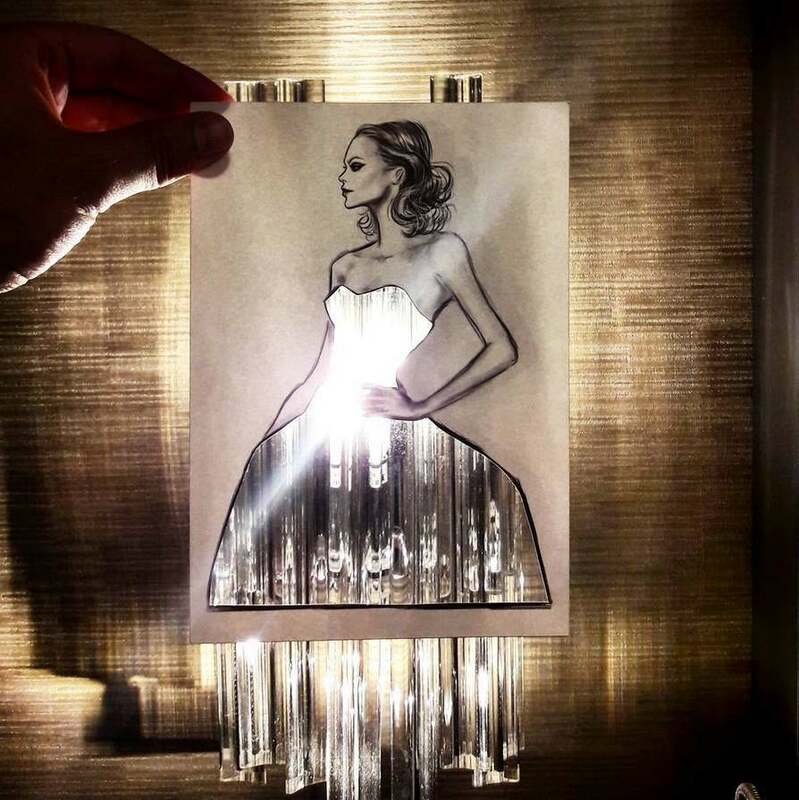 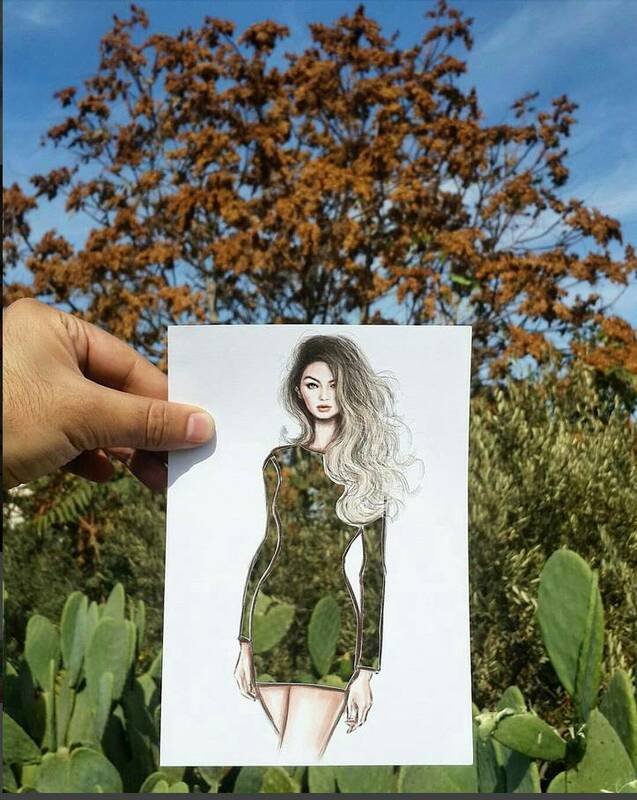 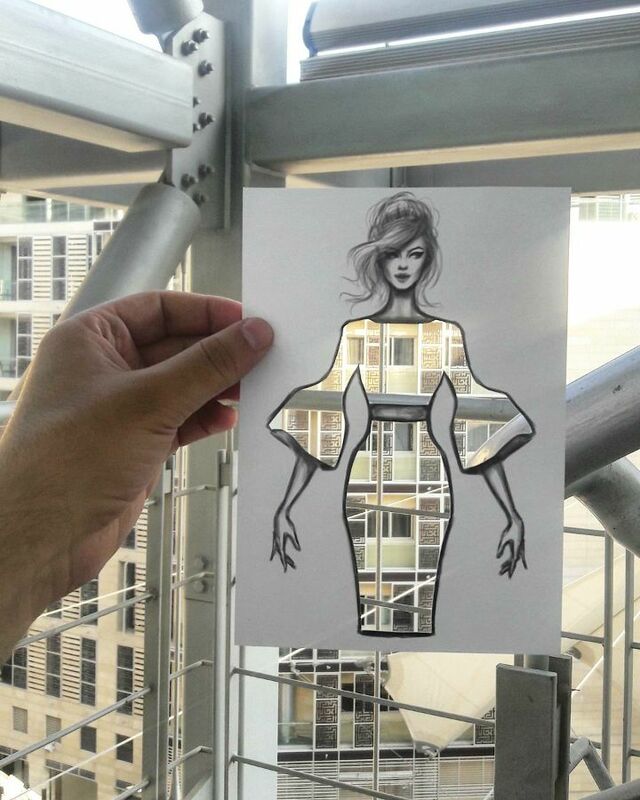 Shamekh draws models wearing dresses of his own design, then cuts out the clothes and takes photos of him holding the drawings up to different backgrounds. 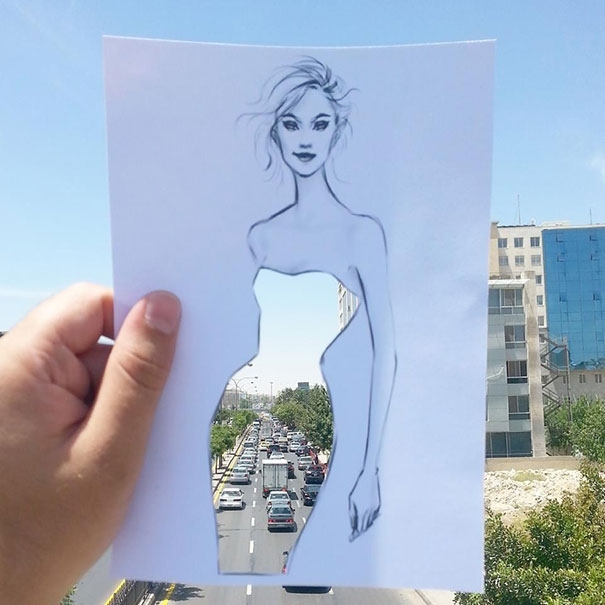 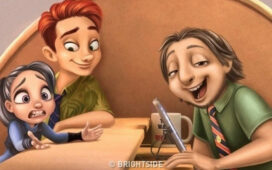 Bluwi work is great example that there’s beauty around us all the time if we look for it. 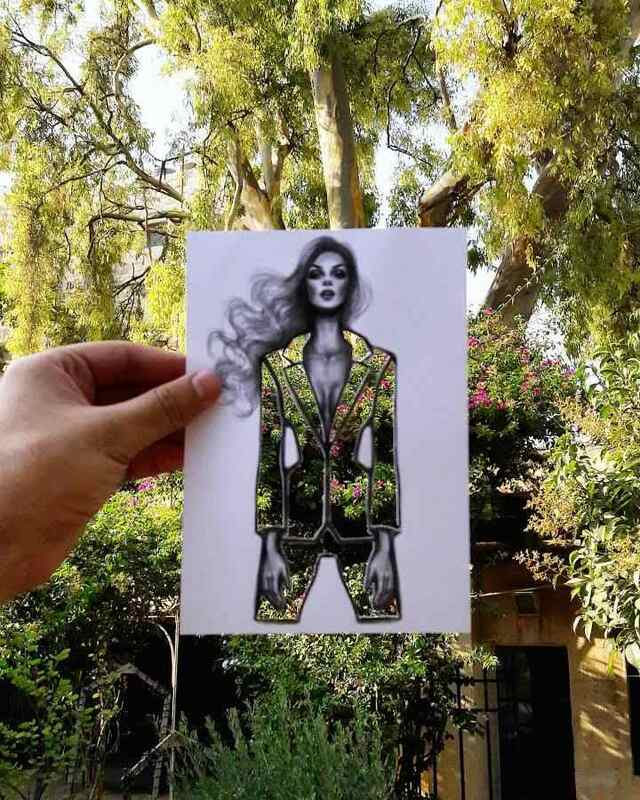 So next time when you will travel to work or shool look around you maybe you will find something inspiring.